More and more Americans are struggling, sometimes suffering with, autoimmune diseases. Autoimmune diseases are categorized by your body fighting against itself, causing inflammation in your body. As many of you already know, I struggle with psoriasis and psoriatic arthritis. I am the first to tell you, my pain is relatively mild when I compare myself to others. That doesn’t mean I don’t have my struggles. Or that my path to get to where I am is any less helpful for others. I have decided to put together the 5 top ways that I have found to be successive in my fight against inflammation. These aren’t the end all be all, as I still do sometimes struggle. I also am totally aware that what works for one person, especially when it comes to diet, may actually be harmful to another person. So, my number one, I feel is my soap box lately. Stress management!!! Stress can be a huge inflammation trigger. If you are in a stressful situation, maybe you can get a new job, seek counseling, or change friends. Most of us, however, cannot actually escape our stress. We can only better manage our stress. Self care is so important. I was playing on Bitmoji yesterday, and I love all the #SelfCare and Deep Breath options. We have come a long way in finally realizing that the flight attendant has been right all along, you need to put your oxygen mask on first, before helping others. One of my favorite self care practices is my Miracle Morning practice. Hal Elrod says that ideally, you take 10 minutes for each of the SAVERS. 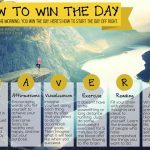 SAVERS stands for Silence, Affirmations, Visualization, Exercise, Reading, and Scribing. He looked at successful and happy people and found most of them did some of these 6, but putting all 6 together is like a super food for self care. Now, I don’t always have 10 minutes for each, and sometimes I skip steps all together. I can tell you, the more I do in my morning routine, the better my whole day goes. Journaling itself is a great practice when it comes to stress. Even journaling your food and feelings at every meal can be eye opening to your stress habits. Guided imagery is a great alternative to journaling. A great guided imagery practice could include some meditation. Any meditation is great for stress management. I love the Buddhify app on my iPhone for my guided meditations, stressful times or anytime. Letting lose often gets kids in trouble. They cross that line so quickly, but did you know turning on just one song, dance and shake about your bathroom can help to eliminate stress. I promise the feelings that overtake a little kiddo is no different to what you will feel. The second big game changer for me, has been diet. 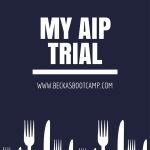 I tried the AIP diet (autoimmune protocol) once, and I did not follow the reintroduction process well. So, I had to do the whole process over again. I found some trigger foods, for me, include soy and gluten and eggs. Some people like to use Whole30 for this same process. While they don’t eliminate all possible inflammatory foods, if you follow the reintroduction, it can help you key in to how your body is actually responding to what you put in it. The third, goes along with number two, and that is the processed foods and added sugar. I really don’t eat much from a box or can, ever. When you go gluten free, you can still buy/make gluten free bread and pretzels and cake. Really though, it is just as processed as the gluten variety. I don’t think you need to avoid processed food all together, but the less you eat of it, the better for your body. Same with added sugar. Often people tell me, I don’t eat a lot of sweets, I’m ok with avoiding sugar. Added sugar is in more than sweets. Look at the ingredient label of your jelly, spaghetti sauce, and yogurt. I also think that you should have artificial sweeteners NEVER, the science has shown how bad they are for us, there is no reason to consume them. That may seem harsh, but we are doing so much damage to our bodies, and they are literally revolting against what we are putting into it. Number four, really goes to the opposite of eliminate this and that. It’s the add more of supplements. Our gut health is directly tied to so many inflammation problems, even if you just have a patch of psoriasis on your body. So often, medication treats symptoms but never gets to the cause of our issue. For myself, I have some digestive and malabsorption issues. I take supplements including liver support, digestive enzyme, ambrotose, and several vitamins. If you haven’t ever heard of leaky gut, it can be quite eye opening to see how many “issues” can be improved by addressing our gut health. The last is totally my wheel house, get your sweat on! There are so many ways to incorporate movement into your day, there isn’t really a reason. If your pain and inflammation makes moving hard, even doing a gentle workout routine will help to make you feel better. I once went and got a certificate in pilates, because I had a client that the mat class was exactly what she needed on a high pain day. It is no impact, and works with your body’s alignment, so you don’t even get the same muscle soreness as you would, say post a body pump class. Aqua classes are also very beneficial to those with joint pain, as the water helps to take your body weight pressure off your joints. ← Is your habit to fall off the wagon?